You can borrow from your credit cards by taking cash advances. Taking cash from your credit card is similar to using a debit card to withdraw cash from your checking account. However, cash advances are loans that must be repaid with all your other credit card charges. Taking cash advances will also reduce your amount of available credit for purchases. Check your billing statement or call your credit card company to see how much available cash you have for your account. Your entire credit line may be available as cash with bank-issued cards, but other cards, including gas and department store cards, may offer a limited amount of cash. Also confirm that you have a working Personal Identification Number for your card. Take your credit card to an ATM machine. 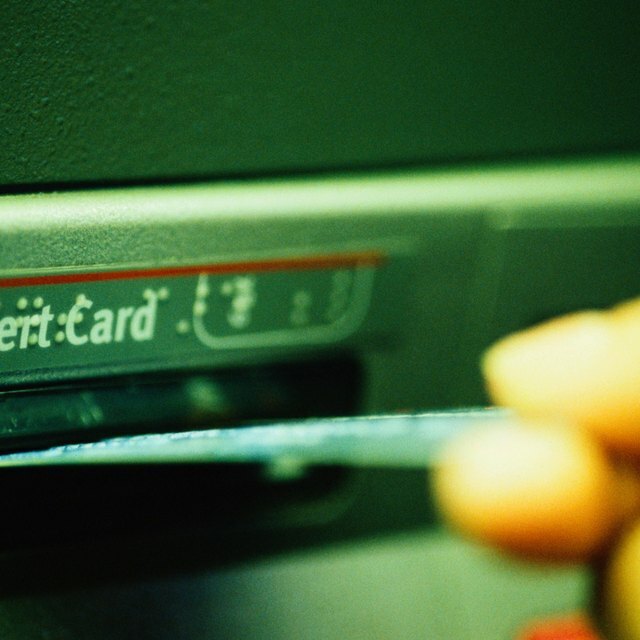 Insert the card into the machine and use your assigned PIN as you follow the on-screen prompts for withdrawing cash. You may also take your credit card into the bank and have a teller complete the transaction. Show a driver's license or other identification and sign the receipt. Credit card cash advances can be expensive, with up-front fees of up to 4 percent of the amount borrowed, according to Bankrate.com. You may also be charged a higher interest rate than for your other credit card charges, and the finance charges will begin the moment you receive the cash.